Why would I need self storage in Raleigh, NC? There are a variety of reasons why you might need self-storage in Raleigh, NC. How much is a storage unit in Raleigh, NC? The cheapest storage unit in Raleigh, NC is $17.00 per month. What size storage units do you have available in Raleigh, NC? In Raleigh, NC we have sizes that range from 3'x4' to 12'x40' to suit your storage needs. How much is it for a 3'x4' storage unit in Raleigh, NC? The cheapest 3'x4' storage unit in Raleigh, NC is $32.00 per month. Raleigh, the state capital of North Carolina, offers the best of both worlds: an excellent place to raise a family and a great home base for business owners and employees. Nicknamed "The City of Oaks," thanks to its abundance of towering oak trees, Raleigh has many options for shopping, dining and entertainment. It's close to two other cities, Chapel Hill and Durham, that form what's known as the North Carolina Triangle. Within the city limits of Raleigh, you'll find numerous parks and green spaces, plus a host of community gems, like libraries, museums, art galleries and shopping venues. If you enjoy an active lifestyle, Raleigh offers places to ski, snowboard, fish, hike and camp. There are also plentiful bars, nightclubs and live music venues for fun after dark. Pullen Park is an iconic part of Raleigh history, founded in 1887 by philanthropist Richard Stanhope Pullen. When you visit, be sure to check out its classic wood carousel, featuring over 50 hand-carved animals and a turn-of-the-century organ. The park is complete with scenic paths, a large lake with paddle boats and an Aquatics and Art Center if you're interested in fitness or artistic pursuits. Raleigh is consistently named among the best places to live in the U.S., partly due to its friendly community feel and access to excellent amenities. This downtown neighborhood is one of Raleigh's most up-and-coming spots, undergoing a major transformation in the past several years, when its former industrial spaces were redesigned as hip boutiques and trendy restaurants. A bustling nightlife is also one of the well-known traits of the area. The Five Points neighborhood dates back to the early 1910s, and includes five different suburbs. This area was the second major wave of suburban development for the city of Raleigh. Cameron Village was the place to be in the late 1940s, mainly because it was home to what was considered the first shopping center in the Southern states. Today, that same shopping center is still in the heart of the neighborhood, and has undergone several expansions and renovations. This Raleigh neighborhood has a spot on the National Register of Historic Places, with beautiful Victorian houses dotting its residential streets. The Mordecai House is one of Historic Oakwood's most storied homes, as the oldest original residence in Raleigh and the birthplace of President Andrew Johnson. The city's public schools are operated by Wake County School System. The district uses a unique system of assigning students to schools on the basis of income, with the goal of encouraging diversity and providing equal opportunities. If you plan on enrolling your child in a public school, you'll have the option of a traditional, magnet or college prep school. Raleigh also offers a range of charter and private schools for you to consider. Raleigh has been counted among the most educated cities in the United States, with high school graduates earning an above-average number of college scholarships and grants. Utilities: In Raleigh, electricity services are provided by Duke Energy, while water is administered by the City of Raleigh. Garbage and Recycling: The City of Raleigh manages weekly curbside garbage, recycling and yard waste pick-up. You can visit the city's website to find out the specific pick-up schedule for your neighborhood. Transportation: GoRaleigh is the city's public transit system, with a bus line that runs throughout the area. Special R-Line service makes it convenient for you to travel around downtown without having to deal with parking. Raleigh has a relatively stable real estate market, with homes selling at a fairly quick speed once listed. At times, a lack of inventory can make finding a home slightly challenging, but if you give yourself enough time, you shouldn't have a problem. Although Raleigh has a somewhat higher cost of living compared to the rest of North Carolina and the United States, you'll enjoy excellent weather, a variety of cultural and entertainment venues and beautiful scenery. Thanks to population surges in the city, new neighborhoods continue to develop in suburban areas. Our lowest priced units in Raleigh, NC average $41.13 per month. 1240 people have reserved units in Raleigh, NC in the past 30 days. 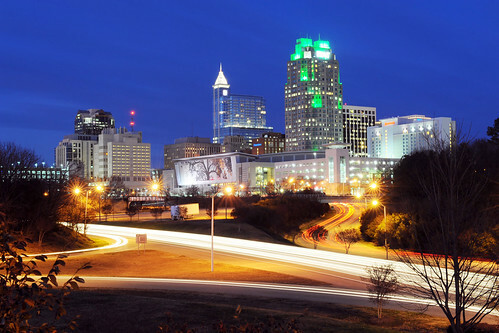 There are 24 locations within Raleigh, NC's city limits. There are 17 locations in Raleigh, NC that offer AC and Heating features.